Average Days To Pay (ADTP) is a very crucial information for us to assess a customer or group of customers and their nature of paying the invoices. With this as basis, I have written a SQL script (link for which is provided at the end of this post) which will calculate ADTP group by a Customer ID. 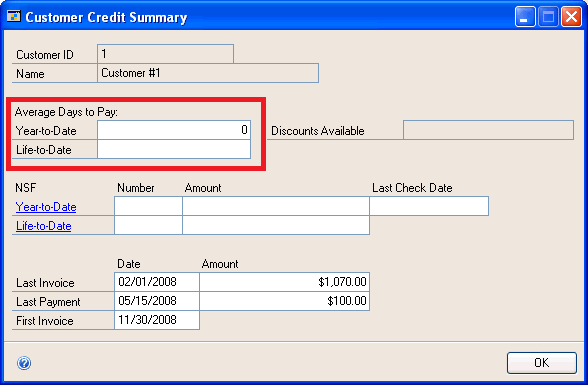 So pass two dates and the results are shown based on invoices between those two dates. I have heard from several GP users that the result what GP shows on Customer Credit Summary window is not correct at times. This SQL script will give you a chance to compare between two and decide which one’s correct. As always, your feedbacks are welcome.